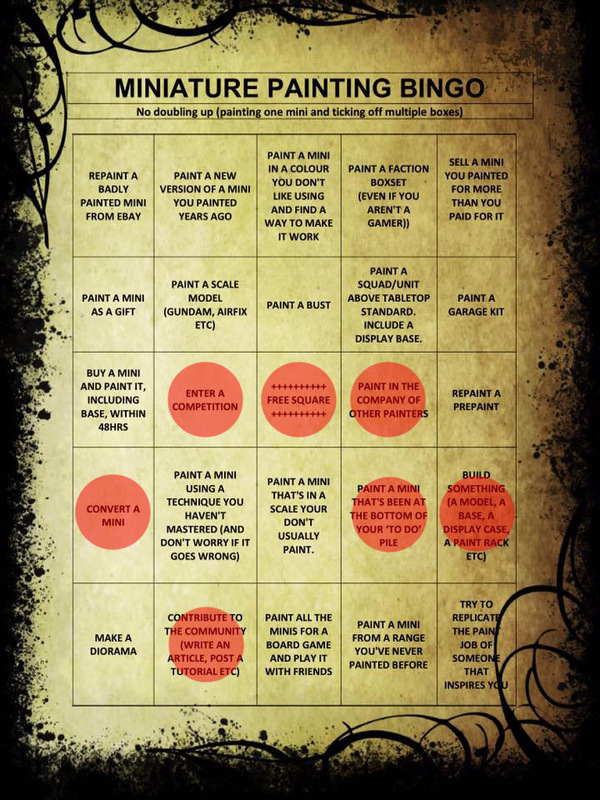 Last year I had discovered Martin Lymer's painting bingo card and tried my hand at filling it in. I wasn't able to score a bingo this year, but I did get a fair amount of work done. While I did spend a lot of time looking for Tomb Kings and Sisters of Battle models on eBay, I never pulled the trigger on buying anything. I thought I might work on my Blood Bowl box, the game never took off at the local shop, so I never had any incentive to work on it. We focused on Age of Sigmar and Shadow War, and of course once the new edition of 40K dropped, that overshadowed everything. I finally finished the Space Marine Scouts that had been kicking around for several years. Even got to play a few games with them. As I expected, the new 40K plays very smoothly. I'm looking forward to playing some larger games in the coming year. My Sisters of Battle kill team could tick this box, but I didn't make a display base for them. So, no points this round. No to all of these... My miniature painting was mostly for my existing armies, in color schemes I've been painting for decades. Nothing fancy or terribly original. 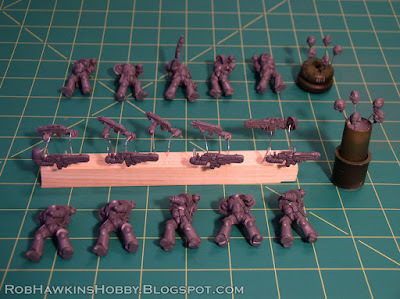 I came close on this one– I bought a Skaven Pestilens starter box to bulk up my army. I finished everything but the plague monks. There's no chance of finishing them off this year because they all need to be converted into Plague Censor Bearers and that's going to take a while. I did enter a painting competition at the shop, and won with my Imperial Fists Librarian. 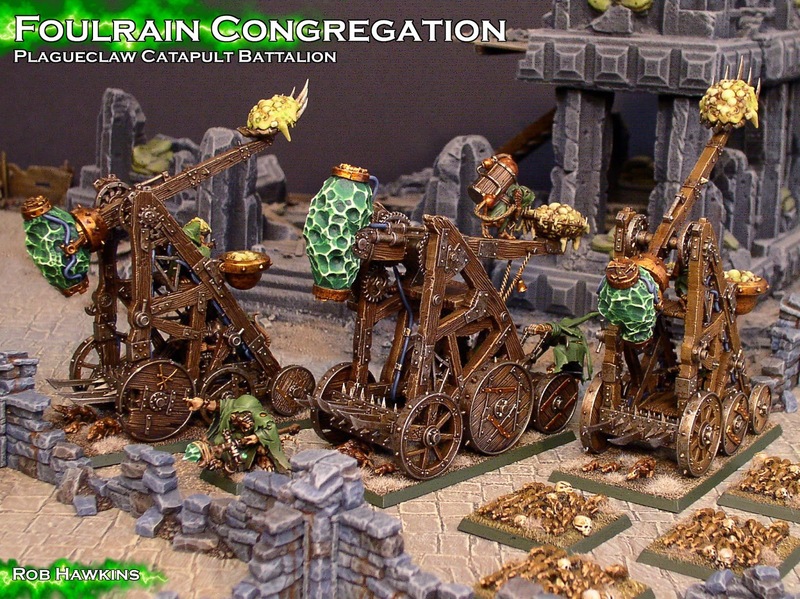 I also spent some time painting at the shop while I was working on my Plagueclaw catapults, so I can tick those boxes. 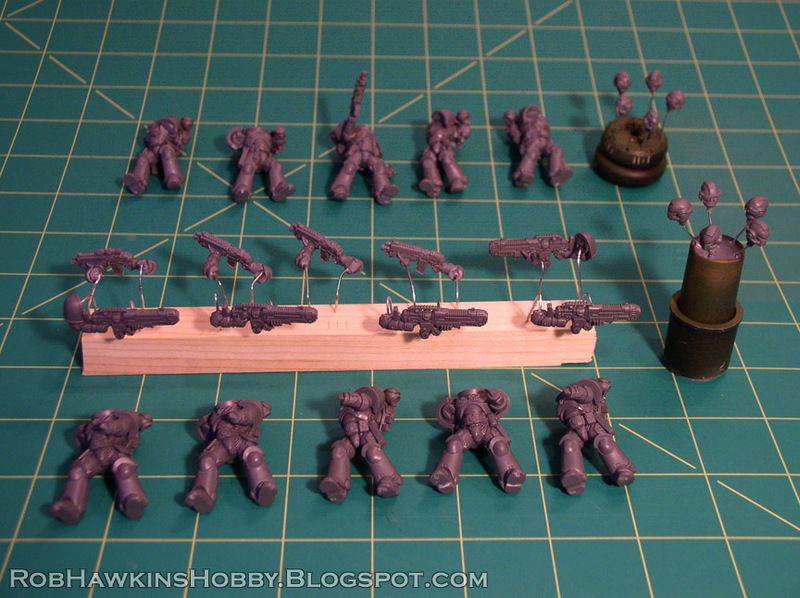 These two are a given since I convert just about every miniature I work on and maintain my blog activity weekly. Most of my time this year was occupied by scenery commissions, and aside from the "make a diorama" square, nothing on the bingo card is scenery related. I think I'll have to dig around and see if there's a hobby bingo card that incorporates some squares like "assemble and paint a terrain kit," "scratch build a piece of terrain," and "build a game table." 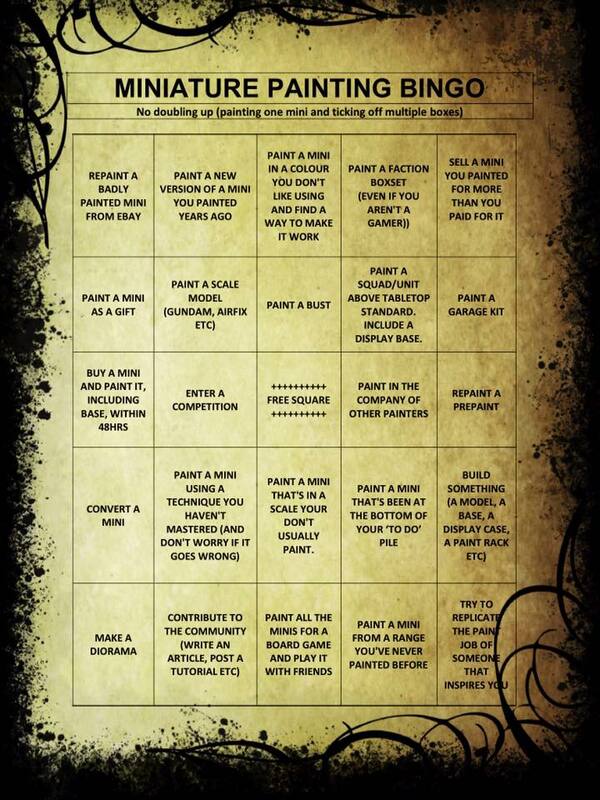 I'd clean up at Wargame Terrain Bingo! I added a few products to my Skull Forge Scenics range this year, and I plan to add much more in 2018. This year I think I only finished four models for my undead army, but I started a bunch of Nighthaunt models. 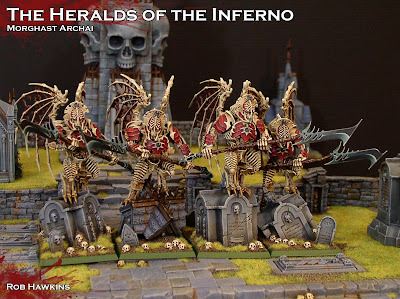 I haven't had much motivation to work on my undead, but with the Malign Portents Age of Sigmar beginning in January, I suspect that there may be some renewed enthusiasm for the armies of undeath. My Skaven Queue has been steadily clearing out. 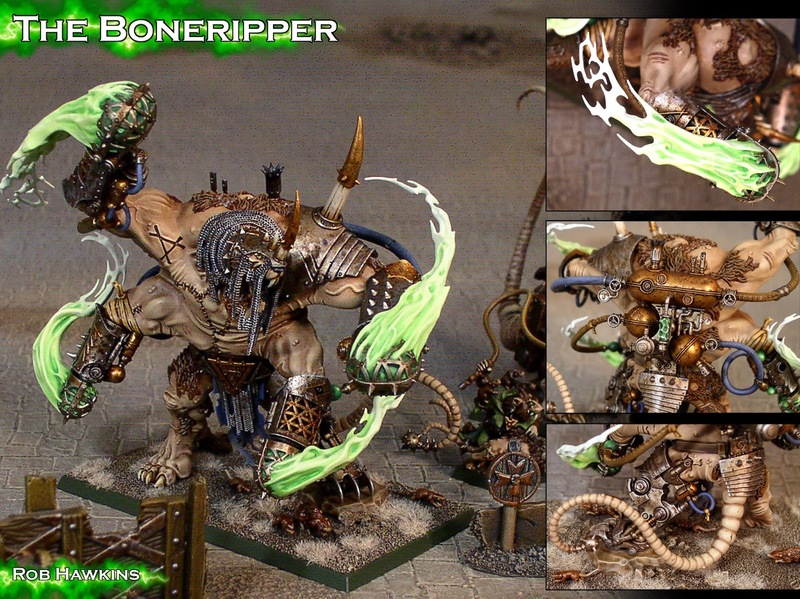 I finished my Foulrain Congregation and the Boneripper. That only leaves about 20 or so figures to round off my Pestilens army, and of course, the 80 clanrats which will probably be back-burnered in favor of my undead. 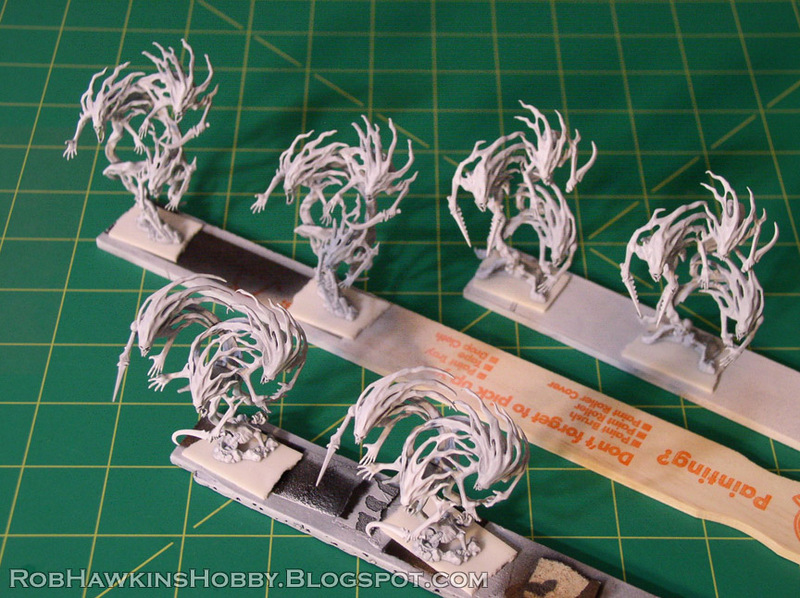 Working on these will depend on whether or not we actually get any new undead models and how compelling they are. I'm not entirely convinced that there's a new undead army on the way as some are speculating. 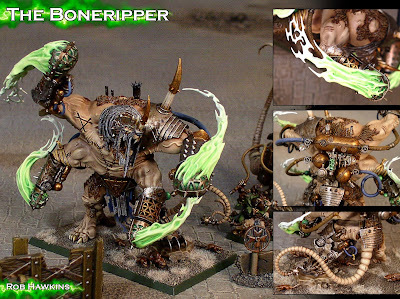 I haven't seen anything in GW's rumor pics that correspond to anything resembling undead, and many of the images that could have been undead turned out to be for Shadespire. We have pictures that were released a year ago that correspond to models that have only just hit the shelves. 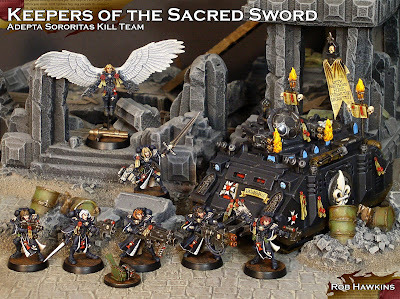 If there are Death models coming in January, GW has been intentionally holding back any rumor images for them, and it's been the most closely guarded secret they have. I guess we'll see next year. 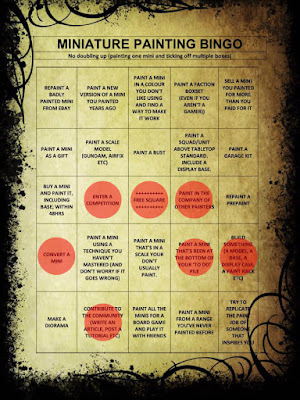 You may not have scored a'bingo' but it has been brilliant following your blog this year. Thanks for all the inspiration! Thanks! Hope you have a great holiday! Thanks !! What is Garage Kit to the bingo ? I think the definition of a "garage kit" is something that was a small run of models that someone produced on their own. Not something from a large company. A lot of non-licensed anime resin kits or large PVC statues fall into this category. Enjoy the holidays!